IMS designs miniature wirelessly networked devices for Minimally Invasive Surgery. Laparoscopes provide an extremely limited field of view increasing the probability of undetected collateral damage and interfere with surgical instruments. IMS’ HD video cameras provide simultaneous close-up imaging of the surgical site and imaging of the entire abdominal cavity giving surgeons visibility comparable to that of open surgeries, and are disposable. Southeastern Center for Digestive Disorders and Pancreatic Cancer, Advanced Minimally Invasive and Robotic Surgery, Florida Hospital; was Surgical Director, Center for Digestive Disorders, Tampa General Hospital; was Professor, Department of Surgery, Assoc. Dean, USF; Did the 1st Laparo-Endoscopic Single Site Surgery-2007 and the first Natural Orifice Translumenal Surgery under local anesthesia-2009; 300+ peer reviewed publications; H index = 30. Southeastern Center for Digestive Disorders and Pancreatic Cancer, Advanced Minimally Invasive and Robotic Surgery, Florida Hospital; was Asst. Professor, Department of Surgery, Director of Endoscopic Surgery, USF College of Medicine; was at the Center for Digestive Disorders, Tampa General Hospital; is the Founder and Director of USF Women in Surgery. Curt Creely, JD, Partner, Foley and Lardner LLP. Member of the Transactional & Securities and Private Equity & Venture Capital Practices. Member of the Life Sciences and Emerging Technologies Industry Teams. 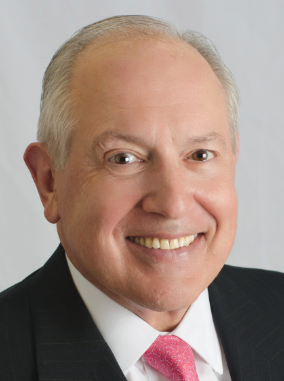 Dennis Thomas, CPA, Managing Partner, CPA Partners LLC; previously, partner of a large accounting firm, CEO of several private companies; management advisory services in sales mergers and acquisitions, venture capital funding and international structures.